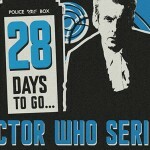 Home » Action/Drama » Amidst the news of Jenna Coleman exiting…It’s time to get your geek on! It’s #DoctorWhoDay on Planet Earth! 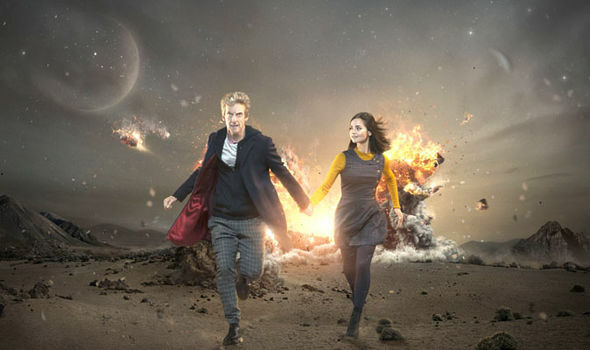 Amidst the news of Jenna Coleman exiting…It’s time to get your geek on! It’s #DoctorWhoDay on Planet Earth! Finally! The day is upon us. No, not Downton Abbey Day. That’s officially tomorrow in the UK! 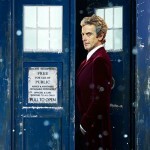 We’re talking the long-awaited return of the Tardis as Doctor Who 9 premieres tonight on both BBC1 and BBC America. For me, more than anything else, I think I’ve been looking forward to the newest set of episodes for the simple reason that I honestly felt we were finally going to get to see both The Doctor and Peter Capaldi come into their own. And, what is now an unfortunate turn of events what with it being announced that Jenna Coleman, who plays companion Clara Oswald, will be leaving after this series, I felt that this would be the year she gets more comfortable with the relationship between her and The Doctor. Playing upon what seemed to surface in last years Christmas special, they both seemed to finally grow into their characters and be comfortable in the fact that they were going to be spending a lot of time together traveling the universe in the Tardis. 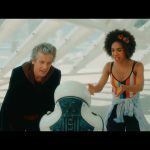 Capaldi’s Doctor spent much of his first year trying to determine just who he was and whether or not he was a ‘good man’ or not while Clara spent much of her time missing Matt Smith’s Doctor and really trying to determine just who this new Doctor was and does she want to jet around the universe with him or not. Yes, the rumors are true. Jenna Coleman is leaving Doctor Who…. Having filmed her final scenes for Doctor Who, Coleman will be exiting the series after this season to star in the forthcoming ITV drama, Victoria. 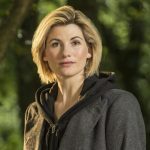 Before the Internets light up with endless speculation about who the next companion will be, let’s focus on what is unfolding as a pretty amazing looking season. 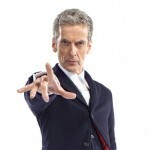 Like clockwork, current showrunner, Steven Moffat, promises that this series will be bigger and better than anything you’ve seen so far. Just in case you’ve been somehow away from civilization for the past several months, here are a few things that should set your Doctor Who-pants on fire and get you ready for tonight. 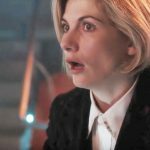 First the trailer for tonight’s episode and then the Doctor Who 9 prologue that is sure to get you to plant your ‘you-know-what’ in front of the telly for the return of The Doctor.